I talked in a previous posting a little bit about the plight of the children we are dealing with and the charity that was set up to help them. I don’t want to elaborate any further on the stories we have been told, partly because these are real people who don’t need to have their life stories exposed to the world no matter how innocent or well intentioned the reason but partly because I want to paint a more positive picture of life moving forward. Lets just make it a given that life here can be infinitely more fragile and fleeting without the safety nets, however imperfect, that we take for granted in the western world. The Joe Homan Charity which is celebrating its 50th Jubilee this August, is set up as a series of boys and girls towns. 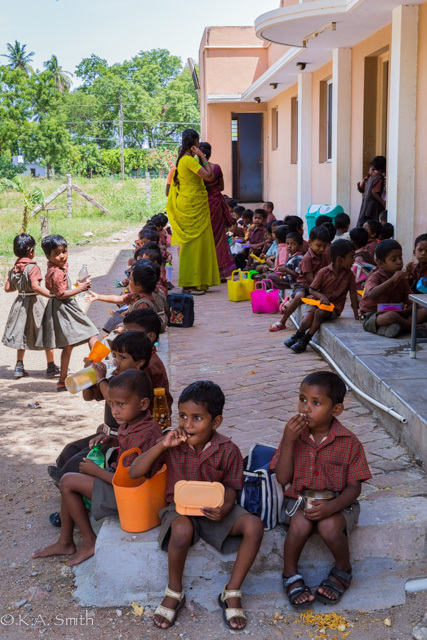 Each “campus” is designed to support anywhere from 50 to 100 children. They are deliberately beautiful places, with an emphasis on trees, gardens, playgrounds and order. Each bungalow houses 8 to 10 children in conditions we would consider spartan but are immaculately clean, neat and in most cases a far cry from the conditions they would have come from. Each child has a trunk for personal belongings and a sleeping mat which is rolled out at night. There are showers, laundry areas, libraries and computer rooms, again quite basic and very much in need of refreshing and refurbishing but still a vast improvement. There are foster mothers for the younger ones, frequently women whose children are also residents which helps everyone out and amazing “wardens” who act as the heads of each town. 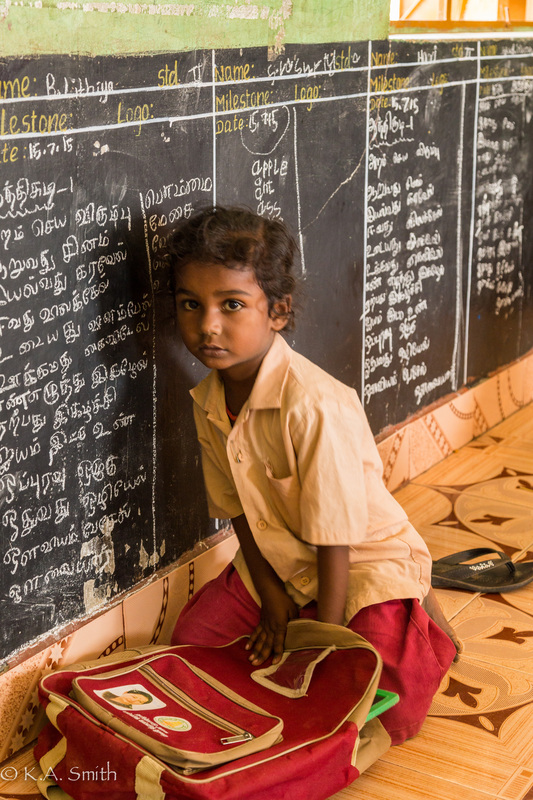 For many of the children simply being in an environment where they have good clean food and water, a structured schedule and a focus on helping them in their schooling is all the encouragement they need and they blossom. To see the difference in the confidence and self esteem of the children who have been at one of the residences for some time and those who have just arrived is truly astonishing. These youngsters are so full of potential…. This young lady is entirely unsure about all this photography business. At one of the government schools. Once the immediate needs of the children are taken care of, they are encouraged and tutored in their schoolwork. Most of them show a vast improvement in their marks at school from their entry testing. 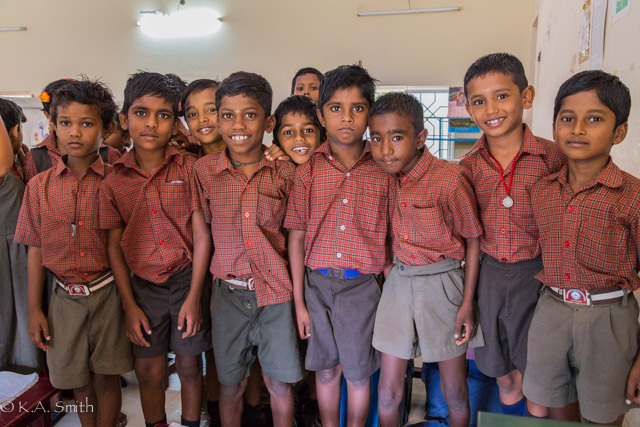 Then as they approach 10th standard their academic or vocational talents are assessed and they are encouraged and assisted into their further studies. Less academically inclined students are given the opportunity to apprentice into programs like A/C maintenance (in a country like India, there will NEVER be enough A/C repairmen!) or tailors (ditto). 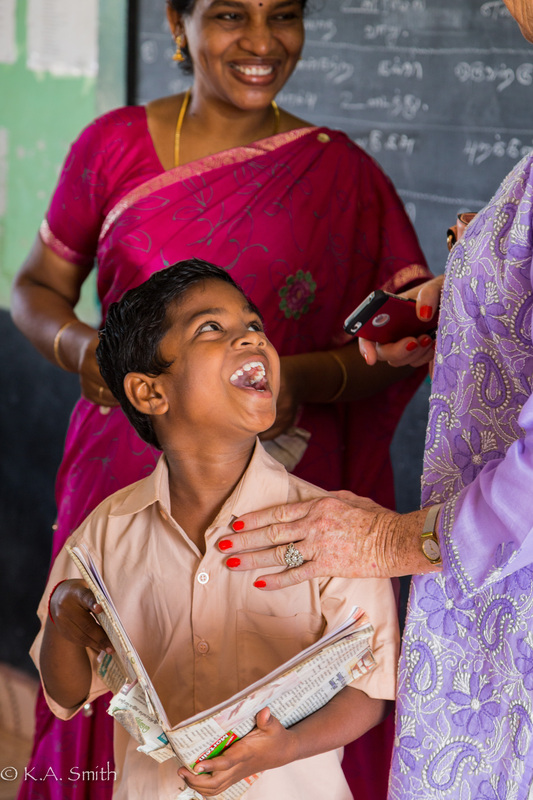 Stronger students can become nurses, teachers and various kinds of engineers; the academically gifted students can go onto university for degree programs – all supported by the Charity! 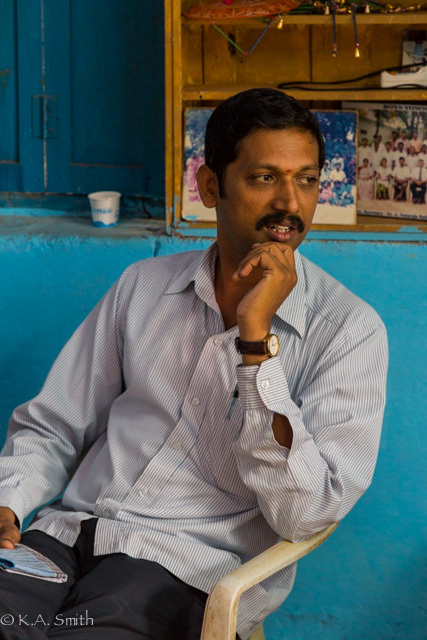 Dr. Gobinath, one of the kindest men I have ever seen with children and a very able administrator for the charity. Many of the former residents have come back, to give back, to support and in many cases to work with the charity which to my mind is the highest endorsement such an “institution” could have. 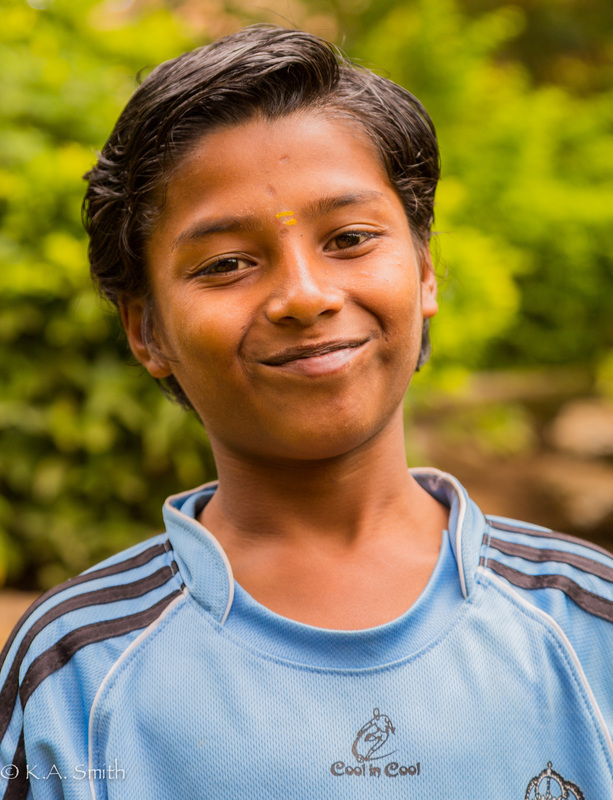 This is Arunkumar, who wants to be an artist and whom I’m now sponsoring. Brilliant writing. I will share it on Facebook and also put a link on what I send out to my mailing group. You have summarised superbly and with inspiration. I am going to send it to Gobi and Jon Crouch…. Am multitasking madly here and the sun is rising. Must get dressed!